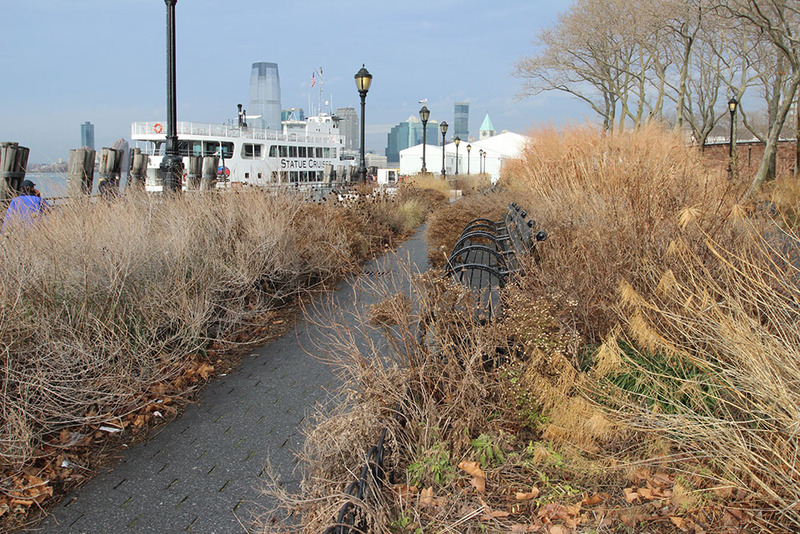 Why do The Battery gardeners wait until spring to cut back the perennials and grasses? The Battery features 195,000 square feet of perennial gardens that are free and open to the public 365 days a year. Dutch horticulturalist Piet Oudolf designed these gardens with all four seasons in mind. His garden philosophy recognizes the architectural beauty of a seed pod or stem in winter, as well as the various seasonal colors and textures of plants. For this reason, we wait until spring to cut back our plants, a necessary step to allow for new growth. Allowing our plants to remain standing throughout the winter and then cutting them down to 3 inches in March produces the clippings which fertilize the garden the following season. 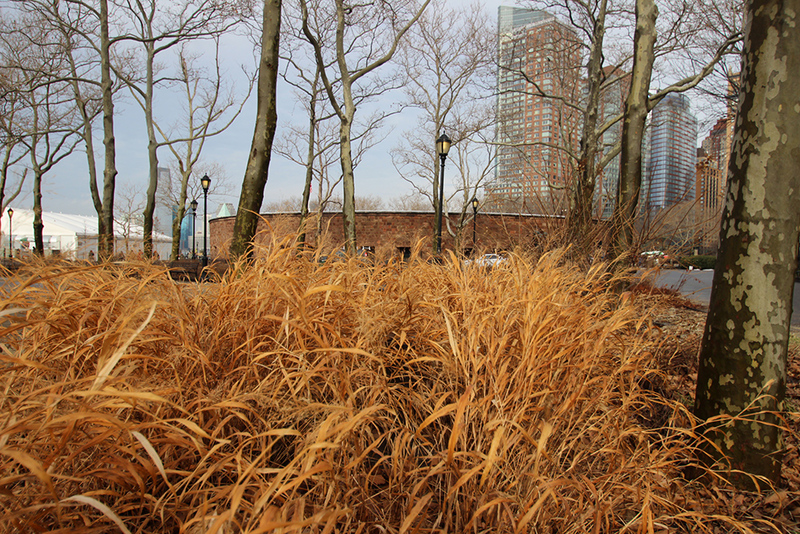 As you walk along the sculptural gardens of winter, you’ll see birds and other wildlife sheltering in the grasses. Birds feed on the gardens’ nourishing seeds throughout the winter. 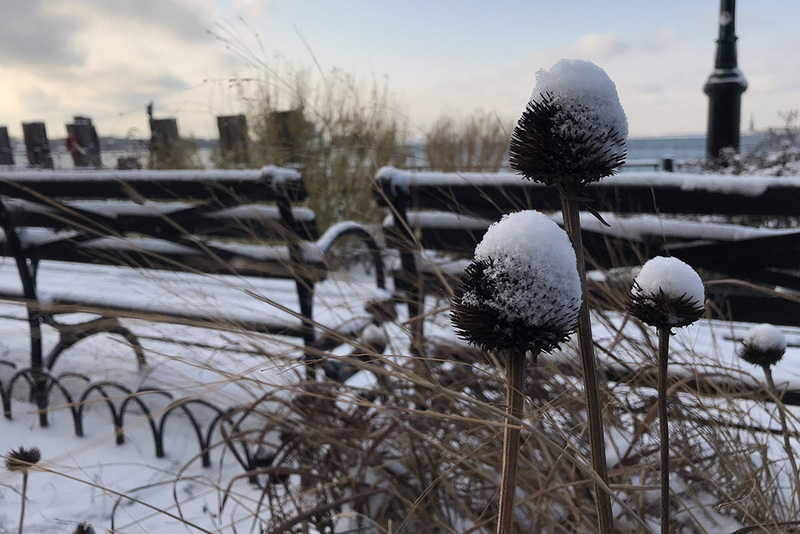 Snowfall emphasizes the architectural character of the planting beds. In early spring, the plants we’ve cut back send up new growth from their roots. We planted tulips, snowdrops, and allium bulbs October and November, and their tender shoots are already emerging. With March finally upon us, it is time to cut back, and we would love your help! Start your mornings in our gardens, alongside our experienced gardeners. 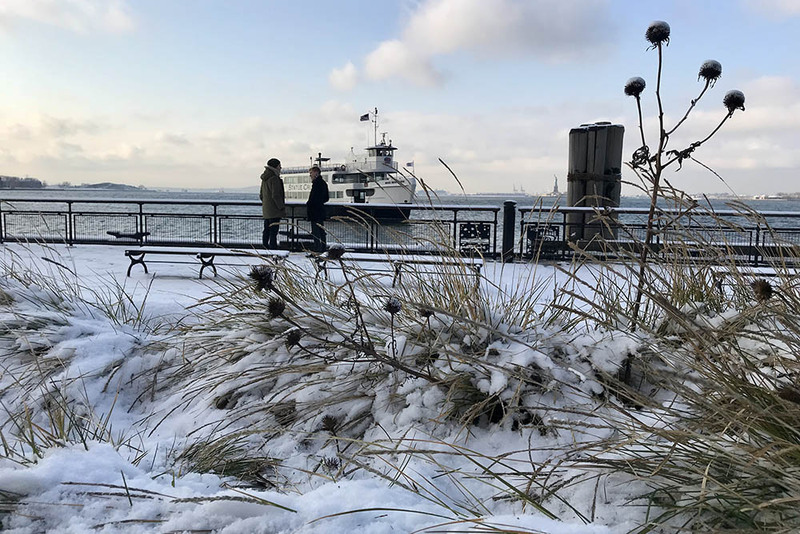 Volunteers develop horticultural skills, give back to New York’s birthplace park, and meet other New Yorkers with an appreciation for green space and great design. We rely on dedicated volunteers all season long, but especially in March! 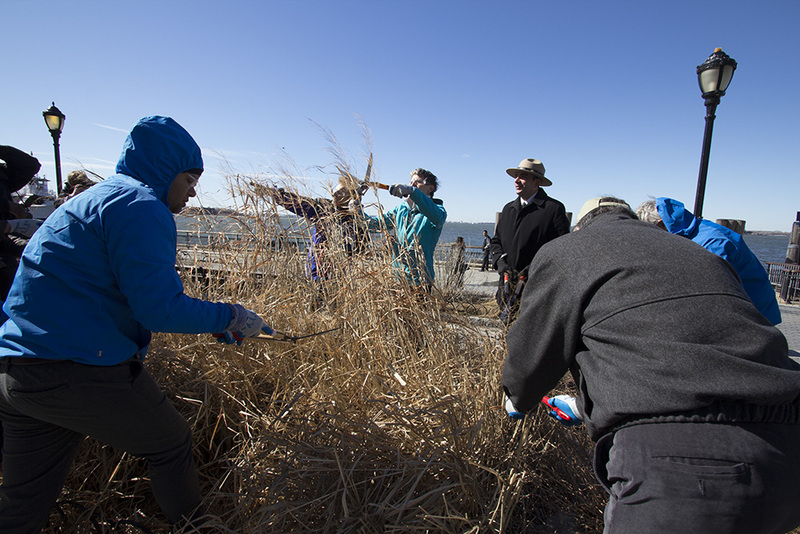 Learn more about volunteering at The Battery.